Since November is approaching, we have a clear picture that Christmas is not too far. Therefore, we certainly have no time left for the celebration, which comes packed with gifts, blessing, and new memories. Wait, did I just say gifts- yeah, gifts! Omg, I have not prepared myself for gifts and let alone the gifts I have not even thought about it. Well, friends, I did the mistake; do not you dare repeating it. You see that the last-minute hassle is always killing. But thanks to my intelligent brain, I have some of the brimming ideas which could actually save for the wrath of my family and friends. In addition, these ideas are definitely going to lure your people as well. When it comes gifting others, it becomes the situation of World War where you actually do not realize what to do. For example, despite constantly thinking over the same topic, you get nothing. Duh! But, you should not bother because these bellow-mentioned ideas are all time rescuer and these gifts ideas for Christmas have been rescuing people since came into the mind of the inventor (he or she also might have forgotten to bring some gift!!). Chocolates: The Christmas chocolates are undeniably the most used and presented gift which everybody loves- be it is a kid or old granny. 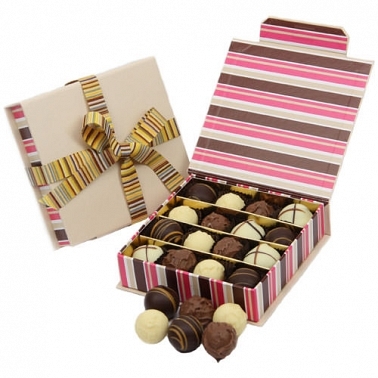 Though it seems highly conventional, yet chocolates as gifts are very healthy. So, brings some good quality chocolate, pack them off and gift. See the smile on their face!! Wine: A party has a symbolic ingredient, wine. And without this, I do not think any party could start- even if it is Christmas. So, give a little tough to your legs, visit the nearest departmental store and buy the oldest edition. Old is gold- this implies purely on wine. Homemade cookies: You may call it a lame idea, but in reality, it is one of the best so far. The reason is that you bake them all by yourself. And when you cook by yourself, you not only take care of hygiene and sanitation, but you also try to make that healthy. So, baking is not a big deal- try it this winter. Handmade cakes: Again, there is a dessert on number four and it is cake. A homemade cake has all your love and effort. And, these two are such factors, which sometimes win over money. Therefore, show your baking skills and bake a nice cake. It should be such that it could stay for longer. How should you wrap the Christmas chocolates? The three of the above-mentioned gift, do not require packaging, however, the chocolate does. Therefore, here we have some of the best hacks of packaging your Christmas chocolate gifts. Wrap the chocolate up in the Damask paper. Choose vibrant colours. Wrap the chocolates with White paper. It is simple and sober. Top the packaged gift with ribbons. These add an extra layer in gifts. Create something of your own and wrap them up- it could be like any art or something. So, here, we have finally discussed the gifts and their wrapping. It is time to utilize what you have read.